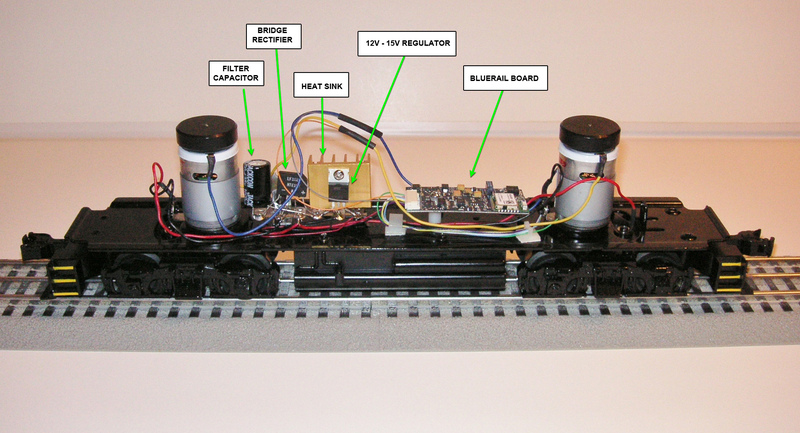 Most 3 rail O gauge conventional power layouts use a variable AC voltage to power the engines. 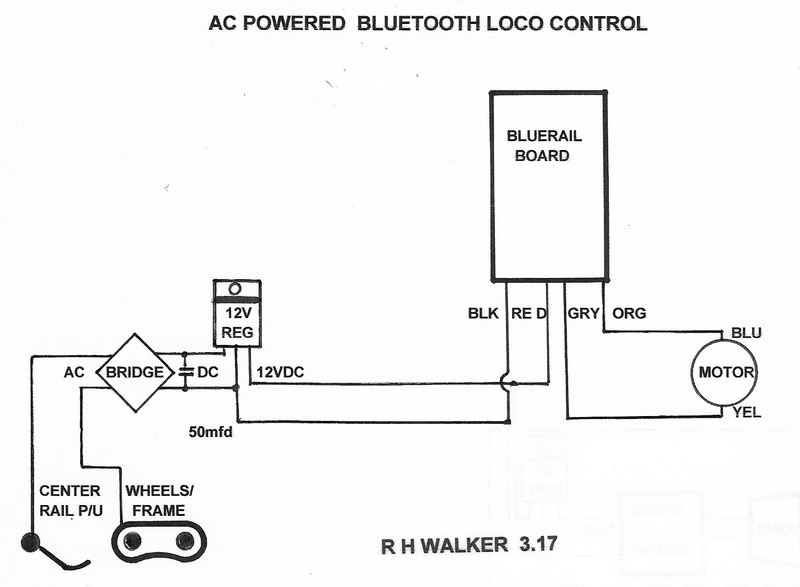 In order to use the BlueRail bluetooth control boards, the AC track voltage must be converted to DC. An AC to DC converter can be simply constructed to perform the conversion. A bridge rectifier followed by a filter capacitor will convert the AC to DC. 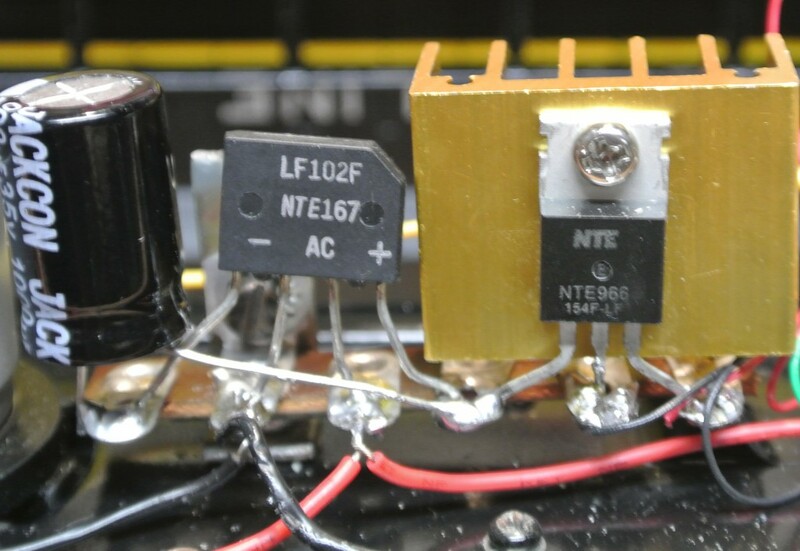 Since the AC track voltage inputted to the bridge rectifier can vary, a 12VDC voltage regulator should follow the bridge rectifier in order to maintain the DC voltage within safe limits for the BlueRail board. You can also use a 15 volt regulator (in place of the 12 volt regulator) for more voltage (if desired). The 12VDC regulator should be the TO-220 package and should be mounted on a suitable heatsink as it will get warm. The AC to DC converter module is not very large and should fit in most engines. When using the converter/bluetooth approach, the AC voltage delivered to the converter can be anywhere between 10VAC and 18VAC and the BlueRail board will operate.